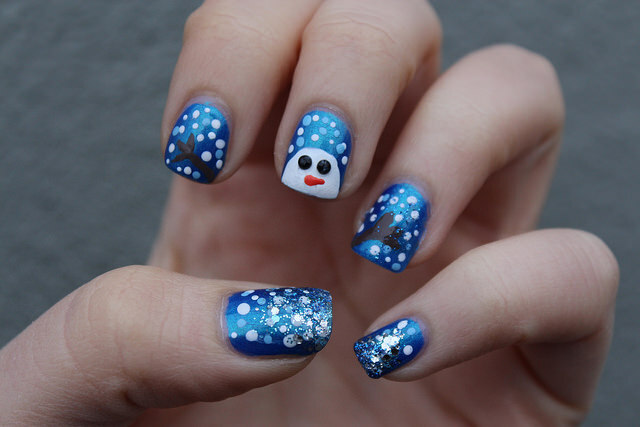 I warned you…the second Thanksgiving was over I’d have some crazy festive manicure!! When we got our first sign of snow last week I knew it had to be snow related! 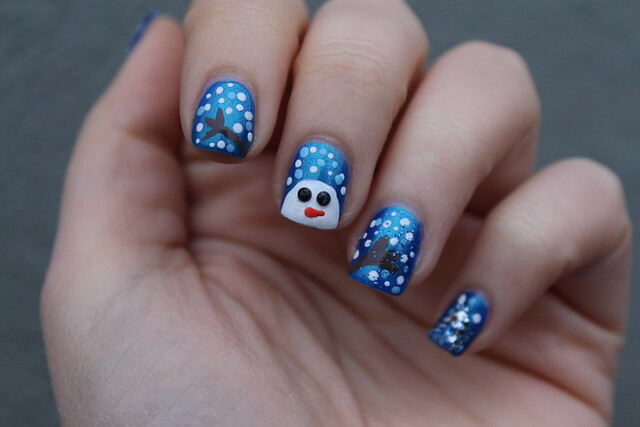 I opted for this design over a typical snowman & it couldn’t have been easier thanks to Q-tips Precision Tips! 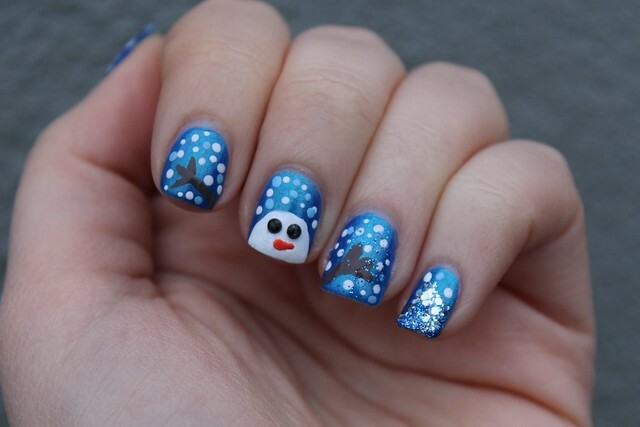 I dipped them in different color paint to create the falling snow, used them to apply the loose glitter (because every Holiday manicure needs glitter!) & to clean up any polish I got around my nails. The tapered ends on these Q-tips are perfect for precise application and touch ups for nails, eyes, lips and more – perfect for achieve the ultimate holiday makeup look. 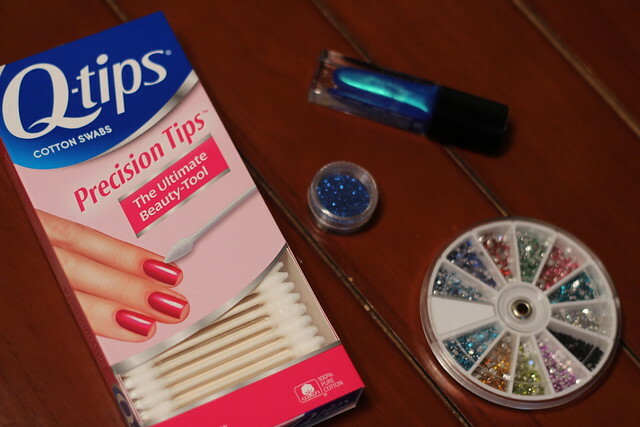 These Q-tips will make all the other Holiday Beauty looks I have planned much easier!! Be sure to head over to Instagram for more Holiday Looks with Q-tips! Disclosure: This post was sponsored by Q-tips, but all opinions are my own. Thank you for supporting brands that make this blog possible. The Holidays are here…follow my Holiday Style Pinterest Board for what to wear, how to decorate & everything in between & my Holiday Gift Guide for all the gift inspiration you need! Simply perfection! I envy your talent and your nails!! So pretty! 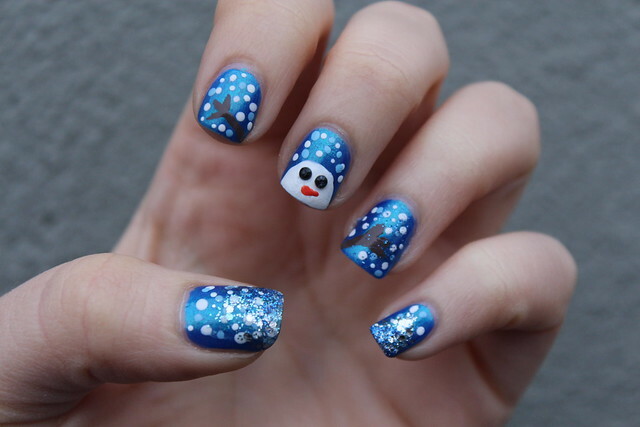 Wow, such incredible (and festive) nail art!